Apple has launched iPhone 4S and iPad 2 in last year 2011. Some of us are waiting to Jailbreak for iPhone 4S and iPad 2. 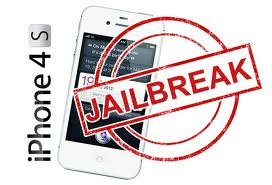 This new year 2012 comes with the Jailbreak for both iPhone 4S and iPad 2. This news comes from the hacker @pod2g that he has done important step to complete the untethered jailbreak fro iPhone 4S and iPad. Both are based on the dual-core A5 chip. Recently the effort of pod2g has done untethered jailbreak of iPhone 4, iPhone 3GS, iPod Touch 4G and 3G and also iPad which are running on iOS 5.0.1. Pod2g said on his twitter account that he will be able to release the jailbreak for iPhone 4S and iPad(iOS 5.0.1) soon. Pod2g released the technical details of 'Corona'-jailbreak named after the vulnerability in racoon needed for jailbreak. Racoon is the IPsec IKE daemon of iOS and it started when you set a VPN connection using IPsec. So users who want to make use of untethered iOS 5.0.1 are recommended to update to iOS 5.0.1 as soon as possible as Apple may soon release a update that will patch the vulnerabilities.